The building has separate areas earmarked for children of different age groups. 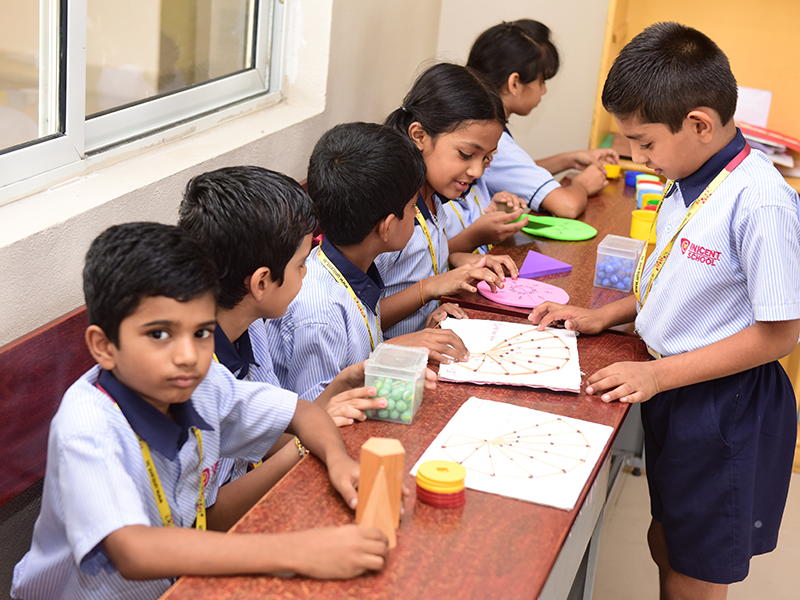 The activity room of the preschool has a large collection of manulative toys for developing gross motor and fine motor skills. These include puzzles, blocks, Montessori equipment, other play equipment, a trampoline, jungle gyms, rockers and so on. Separate rooms are allotted for music and dance. 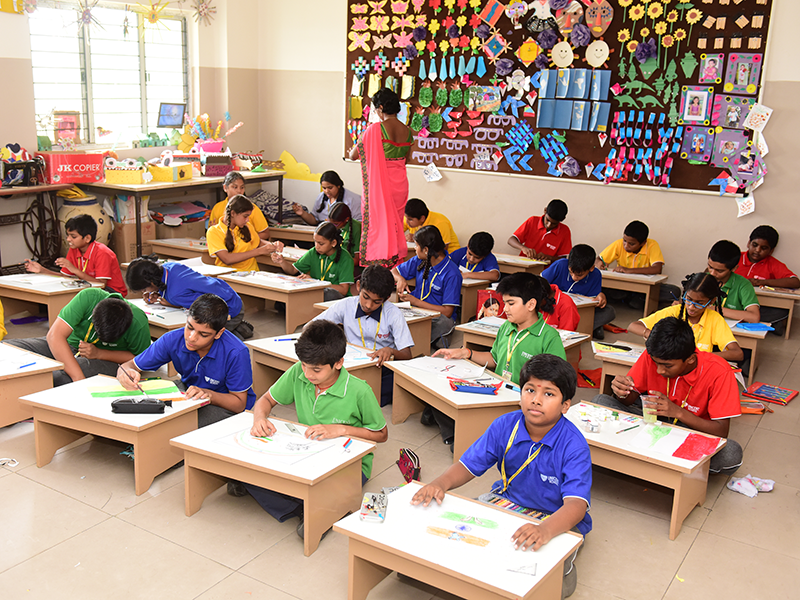 A well equipped Art and Craft Centre with the craft tools ensured children learn to work by themselves. A large computer lab and science lab helps students get hands-on experience on working with systems and lab equipment. 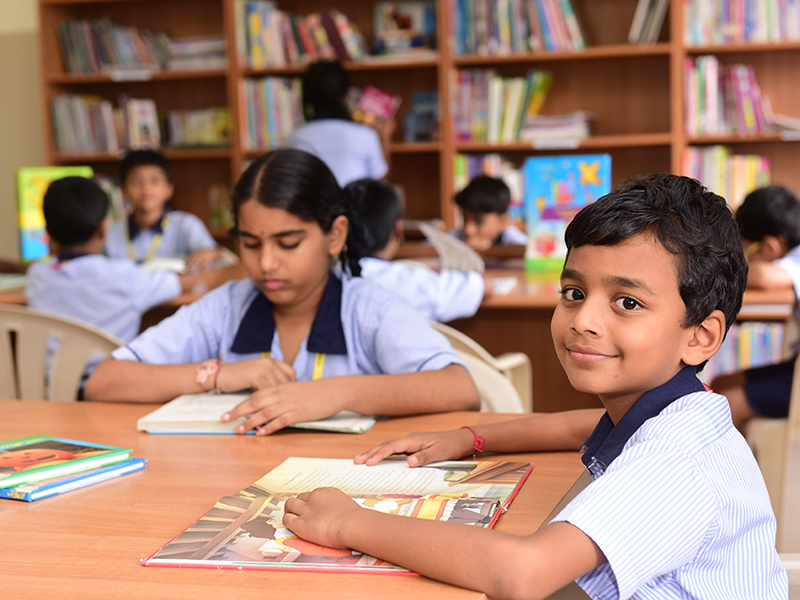 A huge library with a large and eclectic collection of books for both students and teachers ensures that a scholarly environment is provided for the students and the teachers. 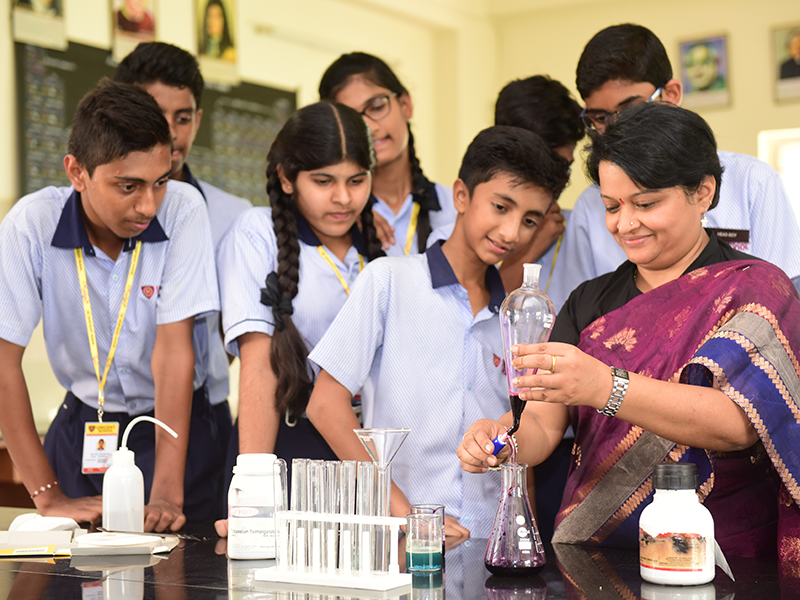 An audio-visual hall ensures that students get regular audio and visual stimulation through the videos and films that are shown to them.